Perfect for Baby Showers and fantastic for celebrating the birth of a new baby boy this adorable decoration will look great wherever you hang it. Beistle 57542-40 "40" Cascade Hanging Column. 40 and proud! This hanging column is the perfect way to announce your age. This hanging decoration measures 3 feet tall. Beistle 57529 Fiesta Cascade Hanging Column. The fiesta cascade hanging column has a metallic red and green cascade-like top with metallic gold and green strands and printed chili peppers. 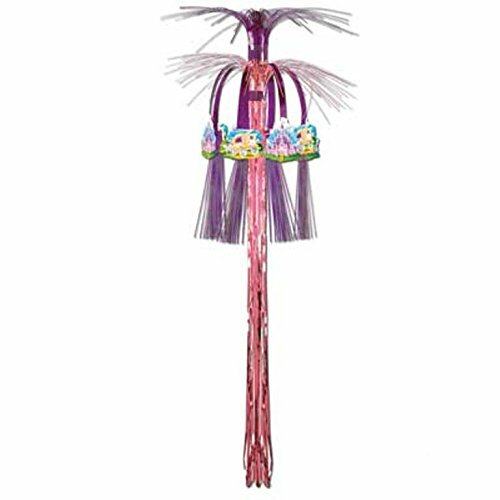 It measures 3 feet tall and can be easily hung for a fun decoration at any fiesta!. Beistle 57541 Mardi Gras Cascade Hanging Column measures at 3 feet long. 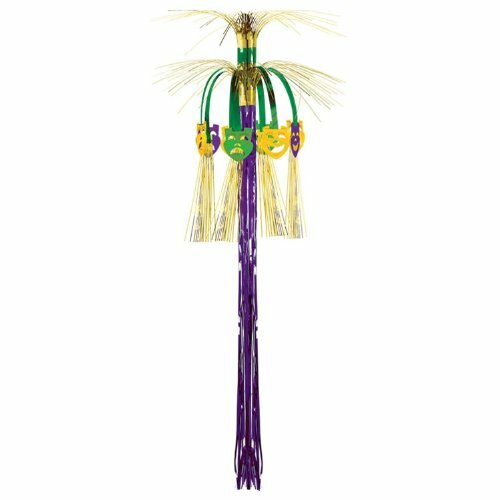 Use this hanging decoration to embellish your home this Mardi Gras! It is metallic and in the colors of green, gold and purple. 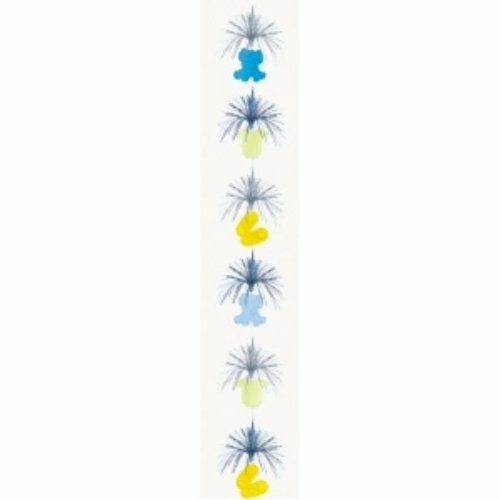 Decorate for your 30th Birthday Party with this 30th Cascade Hanging Column to show that you're not afraid to show off your age. Whether you think it's exciting to turn 30 or you feel as though you have already gone over the hill, this hanging decoration will add a great deal of color to the venue. Hang a Happy 30th Birthday Sign Banner at the entrance and then a 30th Cascade Hanging Column on either side. If the ceilings are high enough you can even use this cascade as a centerpiece by hanging it directly above a table. This hanging cascade measures approximately thirty-six (36) inches long. A 7ft Pink 30th Birthday Foil Cascade Column Decoration. 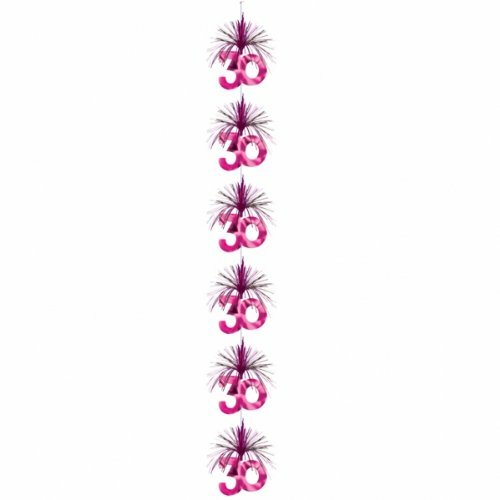 Each of these spectacular decorations is approximately 7ft in length and features a sparkling array of hot pink cascades with a shimmering pink '30' shaped foil cutouts. Perfect for a 30th birthday party this spectacular foil decoration is a fantastic decoration for any 30th Birthday celebration and will look great wherever you use it. Beistle 57544 25th Anniversary Cascade Hanging Column. 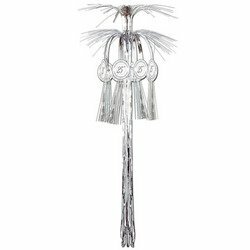 This 25th anniversary cascade hanging column has a metallic silver cascade-like top with metallic silver fringe and printed 25th anniversary discs. The column measures 3 feet long and makes a great piece to hang up at a 25th anniversary party. Beistle 57526 Princess Cascade Hanging Column. Covered in pink and purple and picturing majestic castles, this product is sure to make any girl feel like a princess! This is a great hanging decoration that measures 3 feet long. 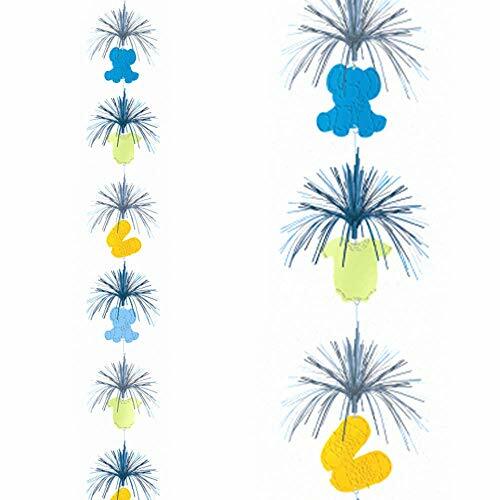 Baby Shower Teeny Tiny Boy Hanging Cascade Column Decoration Each of these fantastic decorations is approximately 82.7inch in length and features a spectacular array of foil cascades decorated with baby themed cutouts hanging along it's length. Perfect for Baby Showers and fantastic for celebrating the birth of a new baby boy this adorable decoration will look great wherever you hang it. Looking for more Cascade Hanging Column Decoration similar ideas? Try to explore these searches: Fitted Soft Case, Dark Artwork, and Porsche 911 Oil Cooler. Look at latest related video about Cascade Hanging Column Decoration. Shopwizion.com is the smartest way for online shopping: compare prices of leading online shops for best deals around the web. Don't miss TOP Cascade Hanging Column Decoration deals, updated daily.